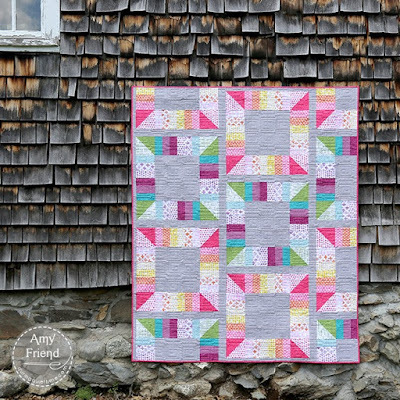 The past few days, we've been sharing Amy Friend's By Hand collection with you, and we're finishing up the week with a virtual trunk show of quilts Amy designed. 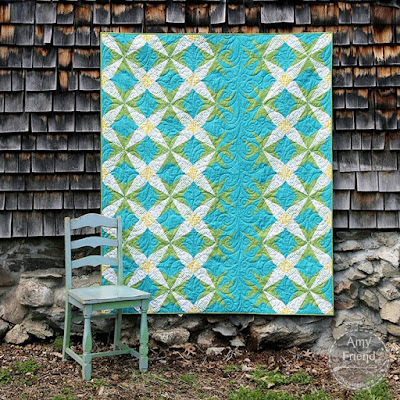 Several of the quilts use improvisational paper piecing--Amy's go-to technique--but if that's not for you, you'll find designs that use traditional piecing as well. Enjoy! 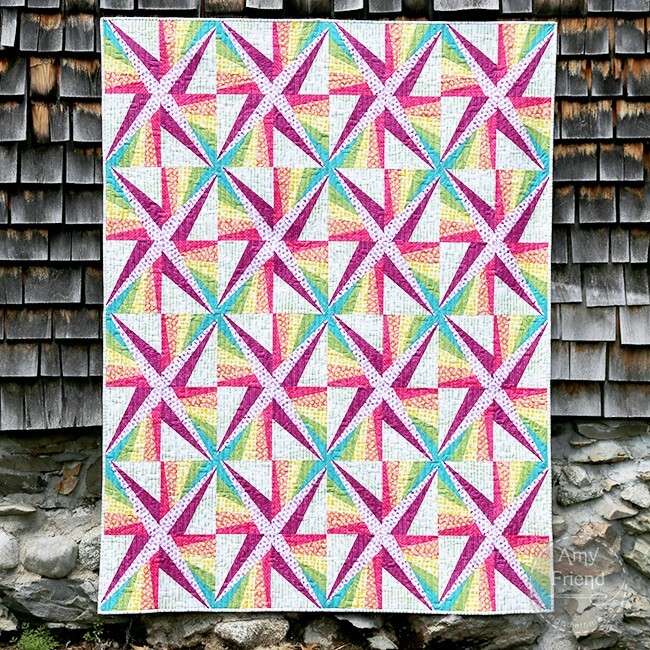 "This quilt is based on improvisational paper piecing techniques. I was playing iwht the idea of radiating lines, and I started changing the size and the rotation to create a really neat spinning star. Where four blocks meet, you get another type of star. I put the prints in spectrum order, and the light and dark purple stars in the center really pop out. I used the Stripe Fade print in the background, which adds a ton of interest to the quilt. I’ll be teaching this at QuiltCon in February." Click here to purchase the Magic Spark pattern. 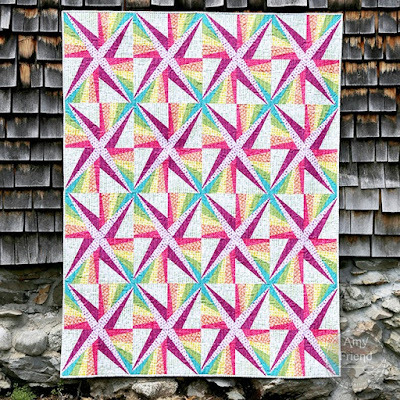 "The first version of this quilt was all solids and hung at QuiltCon last year in the small quilts category. This is also an improv paper piecing quilt, with a small repeated half hexagon. I love that when you remove a pair of half hexagons, you get a negative hexagon shape. It’s super easy to make." Click here to purchase the Negativity pattern. 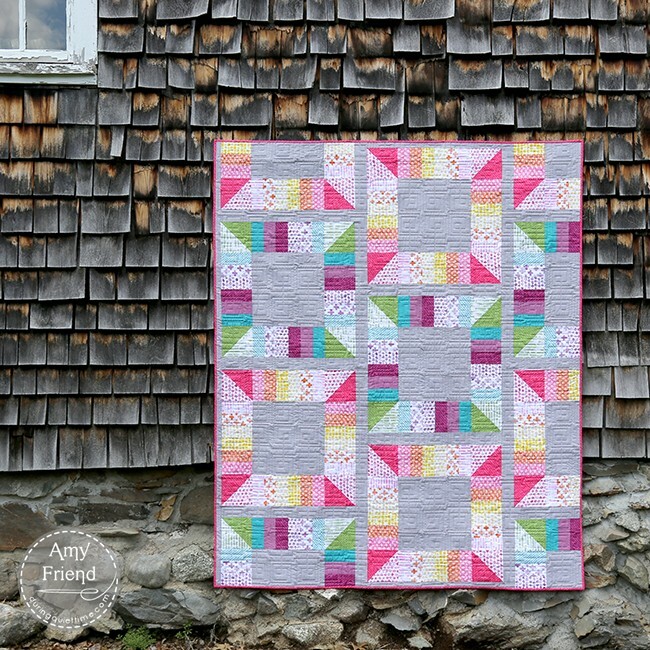 "This quilt is also foundation pieced. I wanted something flower like, and I think this looks like a simple dogwood blossom because of the four points. I removed a row of piecing to create a well defined area of negative space. 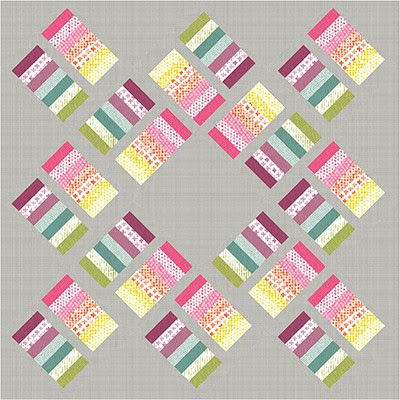 I think this quilt has a modern aesthetic even while using a block with a more traditional feel." Click here to purchase the Dogwood pattern. "This is for people who don’t like foundation piecing as much as I do. It’s strip pieced with some half-square triangles as well. I played with the warm and cool colors of the spectrum, pairing each dark next to its coordinating light in the strip. The blocks are offset so some of them appear to fall off the quilt. 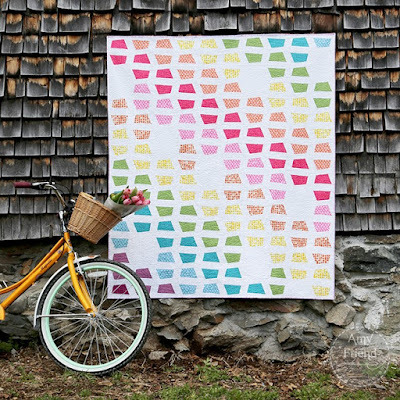 This quilt has a lot of fun negative space for machine quilting." Click here to purchase the Game Board pattern. 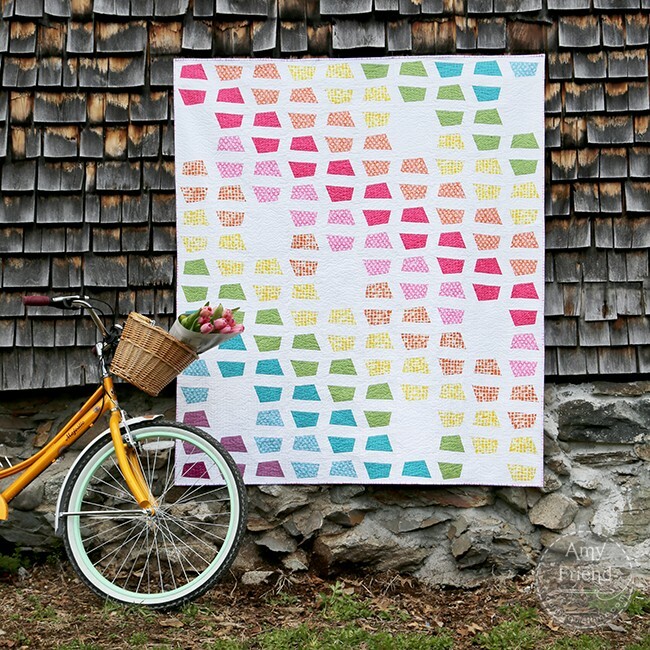 "I wanted to keep this quilt simple, and it's made of easy-to-piece strips. The design plays with the light and dark pairings of each color, and the warm and cool strip sets are staggered a bit. 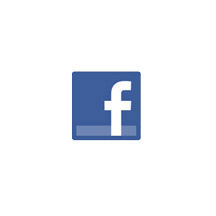 There's plenty of neat negative space within the design as well." Click here to download the free Keyed Up pattern. Find more By Hand fun using the links below! Amy's quilts are beautiful. Thanks for another great Blog Hop. All the quilts are wonderful but Magic Smart is great. Love the Dogwood quilt. Thanks for a great hop. Magic Spark is it! We were fishing last night and the sunshine on the lake, in the late afternoon, was shimmering and shining like stars and diamonds and all I could think was how can I make that into a quilt. Well YOU did! This is gorgeous!!! Thank you for your creativity and design talents and for sharing with us.